Each Directorate, with the exception of the Office of the Director General, is managed by an Executive Commissioner. The Directorates are supported by Departments which are group together in order of related and interdependent Departmental functions to facilitate seamless operations and efficient delivery. 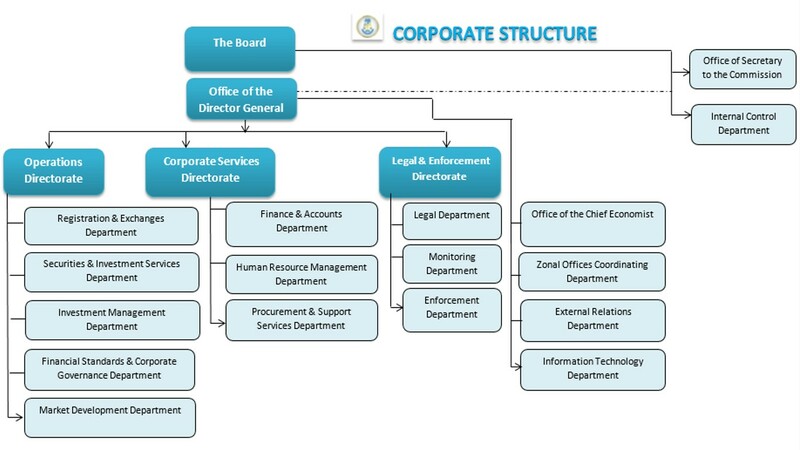 Under the current Organizational Structure, there are 17 of such specialized Departments feeding into the Directorates. Invariably, the Departments contribute to the actualization of the overall Organizational objectives at the tactical level whilst the Directorates focus on the strategic issues.